Spoiler Warning: This is a video related to content in Danganronpa V3. It will contain no story spoilers, however it is related to end-game content unlocked after completing V3’s story. If you want to keep these features a surprise, you honestly probably shouldn’t watch this video. But these features and mini-experiences don’t tie in with the story, so it’s up to you if you want to proceed at your own risk! 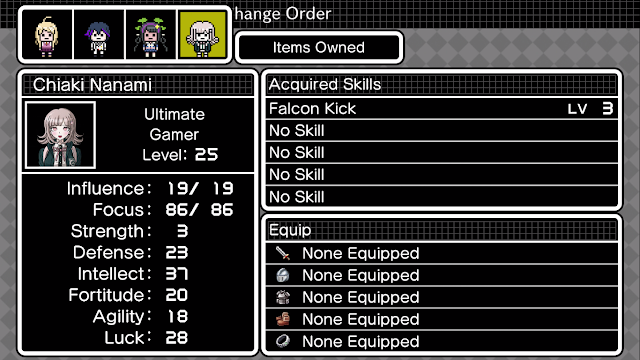 A Danganronpa JRPG with characters from all three main Danganronpa titles is almost a dream come true for me. I’ve been a fan of the Danganronpa series since the first one and because it’s generally a visual novel rather than a JRPG, it’s always been a guilty pleasure of mine in my spare time. To my delight, Danganronpa V3’s mini-game Despair Dungeon: Monokuma’s Test is a retro-inspired mini-game that boasts what you should expect from a dungeon crawler JRPG, with its many floors to dungeon crawl through and a unique class system, along with its unique leveling and stat-raising system that manages to combine JRPG, board game and visual novel elements in an interesting way. If you’re a fan of Danganronpa looking for a JRPG challenge with all your favourite Danganronpa characters, for a mini-game, Despair Dungeon certainly passed the test for me. The goal of Despair Dungeon takes on the role of most dungeon crawler JRPGs: make your way through its floors to challenge bosses by earning yourself in-game money and items to try conquer it. 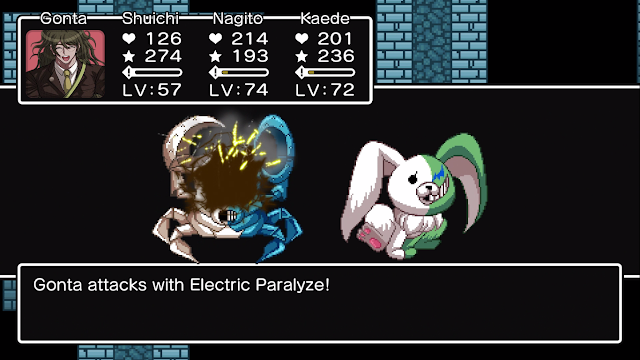 The dungeon is full of various funny-looking enemies based around Danganronpa’s sinister mascot Monokuma, including some for random encounters that feature your standard JRPG strengths and weaknesses to things like physical or magical attacks, along with very strong ones for boss battles that are extra difficult to give you a real challenge. You can expect to see the JRPG status ailments, ability boost mechanics and progression you’d expect in a JRPG that make it easy to understand as a JRPG fan, but the mechanics surrounding these are what make it unique. In the spirit of Danganronpa, the boss battles are almost ‘despairingly’ difficult considering the calibre of characters you begin with. The characters you begin with are all from Danganronpa V3 and they’re divided into three classes, including a physical class, a magic one and a combination of the two. Despair Dungeon uniquely also divides characters into ranks of Normal, Super and Ultimate that determine how quickly you level up and gain stat boosts. Since some enemies have almost total resistance to magic or physical attacks, having a balanced party of tanks, magicians and other roles for your four character party is essential, along with the high health of bosses making Normal ranked characters need to be leveled and given the right stats to have a chance of making it through Despair Dungeon’s many floors and playing with these aspects was where I began to have fun with it. Despair Dungeon is already unique as a JRPG mini-game inside a Visual Novel and it makes itself even more unique by having its leveling system within another of Danganronpa V3’s mini-games, Ultimate Talent Development Plan. 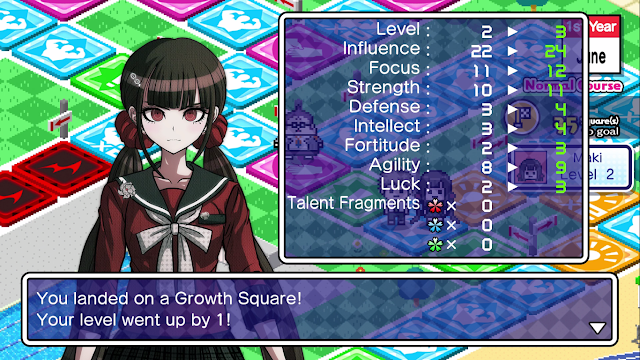 Ultimate Talent Development Plan is a board-game style mini-game where you can choose a Danganronpa character out of the ones unlocked to take around a board and develop, with stats increasing or decreasing as you land on different squares on the board that are for leveling up or gaining skill points. If done right, a good run of it means having a character that can survive Despair Dungeon. As much as I enjoyed the board game as it also has story and fun mini-events that feel like a story mode to break up the dungeon crawl, having this mechanic separate from the actual dungeon crawler was a little tedious at times, although it is also not in Danganronpa’s nature to be straightforward. Finishing Danganronpa V3’s 50 hour story on top of a run of Ultimate Talent Development Plan make Despair Dungeon already not easy to unlock, so this experience will likely appeal to JRPG fans who are fans of Danganronpa V3 and would finish its fantastic story anyway, rather than people new to the series who may not be used to its indirect nature. Speaking of being indirect, while the path to Despair Dungeon’s final boss may be direct when you consider the floors, the leveling capabilities of the character ranks add some bumps along the way. I noticed as I was going through Despair Dungeon that my newly leveled characters from Ultimate Talent Development Plan would push me through five to ten floors, but after awhile I’d have reached the limit of my abilities or level. I could sometimes push myself further by equipping swords and other accessories to raise my stats a certain percentage, but there’s a subtle progression in Despair Dungeon that has certain points in the dungeon pretty much require higher ranks. Other than getting closer to the final goal of Despair Dungeon, every five to ten floors affects the Death Card gacha machine where you can win more Danganronpa characters from Danganronpa 1, 2 and V3 by using the currency found in the dungeons and raises the odds of getting a higher ranked characters such as Super or Ultimate the further you get in. The basic progression of dungeon crawling for money and equipment, getting as far into the dungeon as possible, coming back out and trying to win better characters in the Death Card Machine and then develop them to do it all again all over again is a little complicated, but I enjoyed the feeling of progression quite a bit. The Death Card Machine and Ultimate Talent Development Plan break up the dungeon run nicely and bringing my characters out of Talent Development to try in the dungeon really did feel like a test. I was testing my own character development skills to conquer this dungeon and each failure made me only want to see what I could with the next character I trained in this unique way to grind and dungeon crawl. It's complicated, but ultimately I found it fulfilling. If given the time to understand it, Despair Dungeon: Monokuma's Test is a complex dungeon crawler in an unconventional way that turned a simple JRPG concept into a true test of character development. 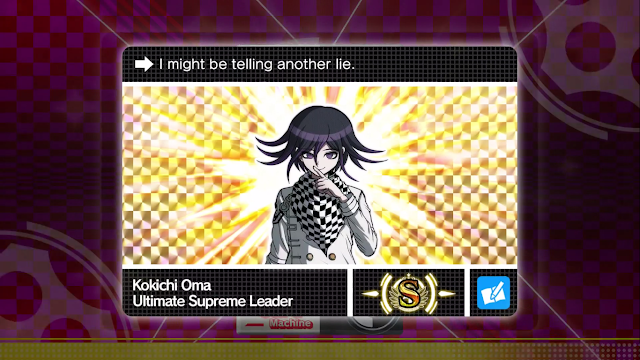 Working out how things worked through gameplay and failure ended up being a fulfilling way to learn its mechanics and as a fan of gacha systems, leveling up the Death Card Machine to get stronger versions of my favourite Danganronpa characters was something I enjoyed working for again and again. Having a complex mini-game that essentially works with two other mini-games all within a visual novel isn’t at all straightforward and I don’t expect anyone to buy Danganronpa V3 just for this mini-game. 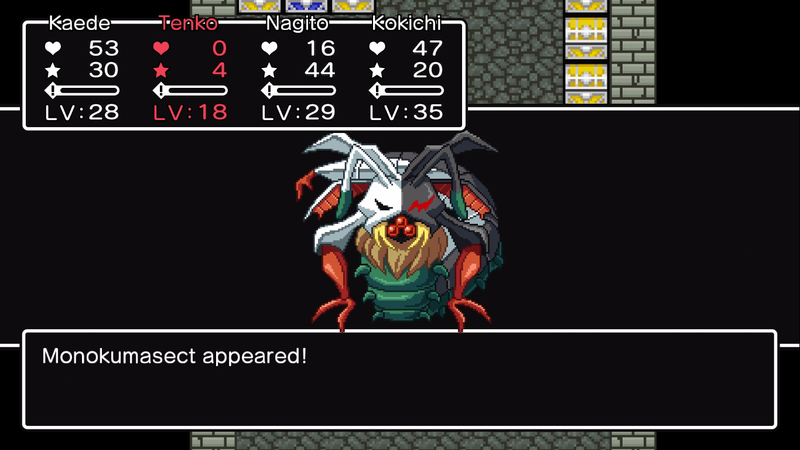 But if you’re interested in V3 and want an extra reason to get into it, this challenging JRPG mini-game ultimately satisfied my enjoyment of leveling characters in a new way and contained much more breadth and complexity than most mini-games. 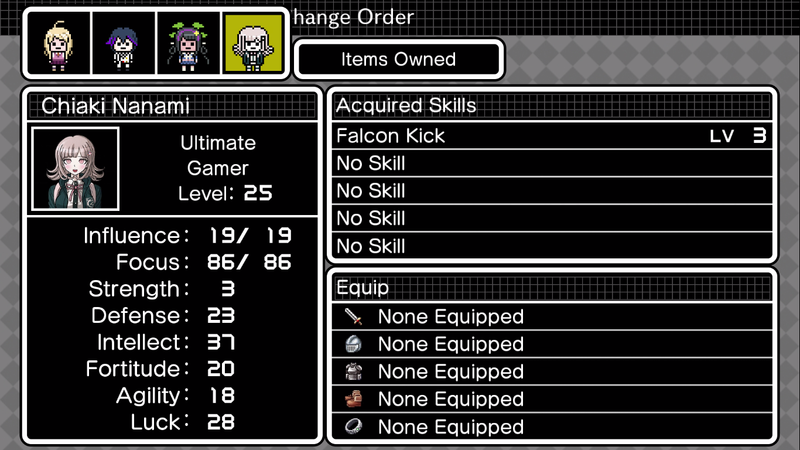 Never thought I'd be giving a score to a mini-game, but for a Danganronpa JRPG that is pretty fun to dungeon crawl in, it's totally worth it! You can pick up Danganronpa V3 at Play-Asia.com! Will you play Despair Dungeon and Danganronpa V3? What are some of your favourite JRPG mini-games (in both JRPGs and non-JRPGs! )?